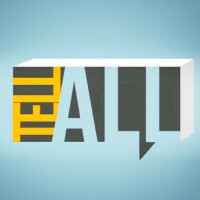 Tell All is a fast paced game of words and wits, where contestants compete with the clock, and with each other, for fun and prizes. Created by Temple Student Brian Schwartz, Tell All is a high energy challenge where word play is serious business and what you don’t say can make your opponent the winner. Two senior Media Studies and Production majors––Emily Morrison and Matt Glick––face off in Tell All, TUTV’s fast and furious wordplay game.